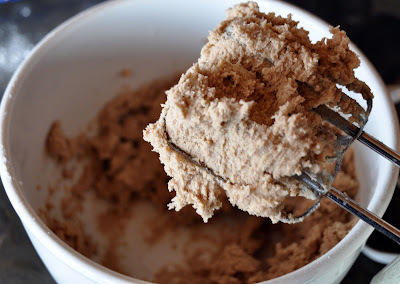 This is about the easiest and most versatile cookie dough next to sugar cookie dough. And after this past Christmas I am happy to have a new cookie dough recipe to work with that tastes awesome. I am going to explain how I used this dough in 3 different ways: ice cream sandwich, a cookie to go on the side of your coffee mug and as a plain cookie. 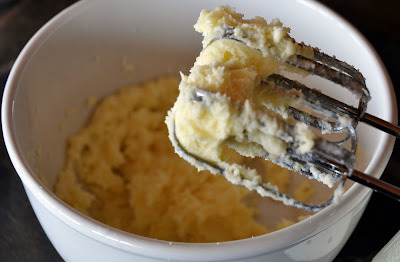 With a hand mixer, beat the butter and sugar until creamy. 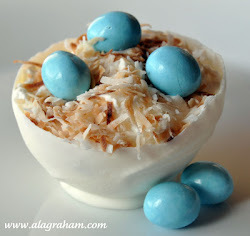 Add the egg and mix until combined. Add the cinnamon and flour and beat until dough is combined. 1. 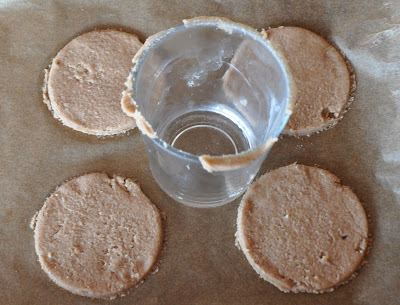 To make a thick cookie, use mini cake pans (I use 3-inch). Prepare pans with cooking spray and parchment paper circles or buy these little fabulous cake pans that I found which need no cooking spray or parchment. Perfect for ice cream sandwiches. 2. To make a thin cookie, line your baking sheet with parchment paper. Perfect for cutout shapes or dipped cookies. Take 2 Tablespoons of dough and flatten into the mini cake pans or on the parchment paper lined baking sheets. (If the dough is too sticky to work with put in fridge for about 15 minutes.) The dough should be thin when pressed into shape. I didn’t have a cookie cutter circle shape in the size I wanted so I used a cup, to flatten and cutout the shape. 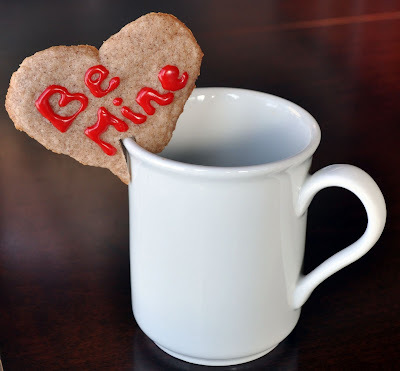 I also cut out some heart shapes to hang on the side of a coffee mug because these cookies are so good I know I will want them in the morning with my coffee! Bake for 6-8 minutes. Watch them carefully so they don’t burn. (My cookies in the mini cake pans took 8 minutes. My cookies on the parchment lined baking sheets took 6 minutes. When they are done, remove from the pan immediately and place cookies on a cooling rack. 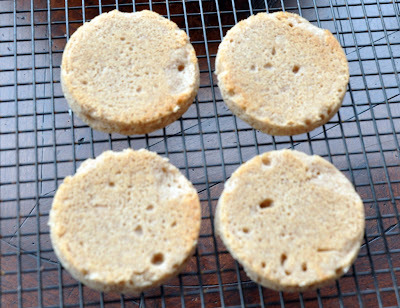 If you used mini cake pans, you should be able to flip them over and the cookies should fall out. If not use the tip of a paring knife to pull up the edge of the parchment paper and slide the cookie out. 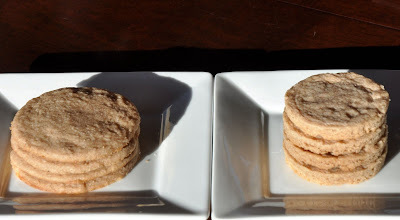 If you used the parchment paper lined baking sheet simply lift cookie with a large spatula. 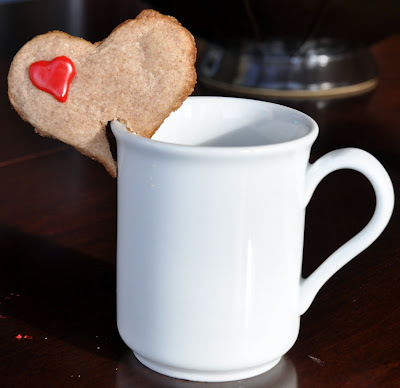 If you made the heart shaped cookies for the side of the coffee mug now is the time to cut into the cookie with a small paring knife. Cut out a rectangle shape at the tip of the heart so it can slide onto your mug. After the cookie dries they are harder to cut as they can crumble. Place one thick cookie on a plate. Take plain vanilla ice cream and stir it in a bowl until it is soft but not melted. 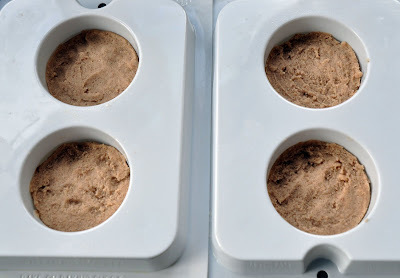 Form the ice cream in a ball and set on cookie, add another cookie, and push down gently. 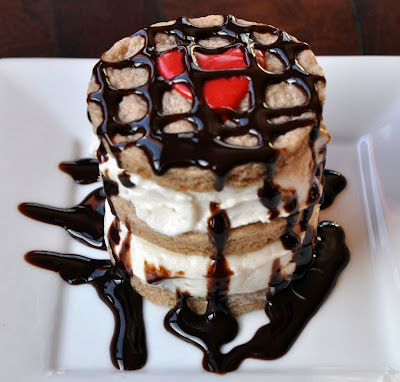 Don’t stop there…make it a double… add more ice cream and another cookie on top. Put in the freezer for a about 5 minutes. Take out, drizzle with hot fudge and enjoy. You could also use whipped cream or frosting instead of ice cream but I think ice cream tastes the best. 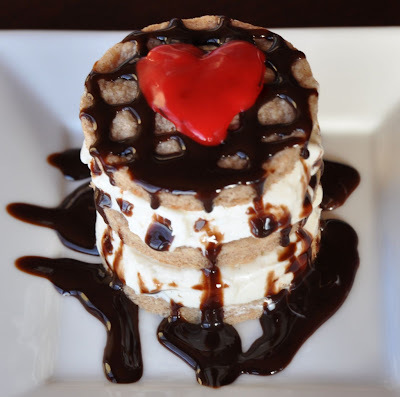 For the heart shaped cookies, I added hearts and Valentine’s messages with melted chocolate. What a fun surprise to give to your beloved coffee drinker (or yourself) on the side of a coffee cup in the morning. 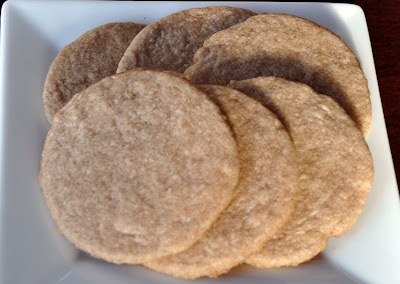 The flat cookies are delicious plain or you can dip them in melted chocolate. Very very nice! another easy cookie recipe. Cinnamon is my fave, and I think I'd love these best with a cup of tea. Yummy!